In August of 2018, the Global IT team was invited to Caribbean Nazarene College in Trinidad and Tobago. CNC has been training and sending leaders across the Caribbean since 1951. 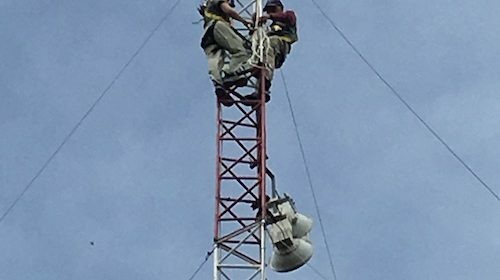 In July of 2018, the Global IT team worked with the technology staff at the Kudjip Mission Station in Papua New Guinea to replace a failing telephone system with current Voice Over IP technology. In March of 2018, the Global Mission IT team was invited back to Africa Nazarene University to complete phase 2 of the security camera installation. In October of 2017, we completed phase 1 of the project – the installation of security cameras at the Main ANU campus. Phase 2 included installing cameras and infrastructure at the Town Campus. In October 2017, the Global Mission IT team was invited to Africa Nazarene University in Nairobi, Kenya to installed security cameras, upgrade infrastructure and help around campus. Twenty three amazing volunteers stepped forward to make it happen. In July of 2016, a GlobalNaz Tech Team was invited back to Seminario Teologico Nazareno (STN) in Chiclayo, Peru. 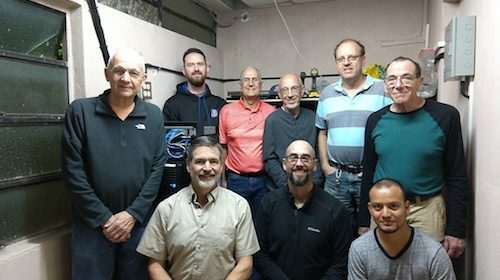 The team worked on network system upgrades on the main campus as well as installing a new WiFi system and computers at the Nuevo Horizonte extension campus. 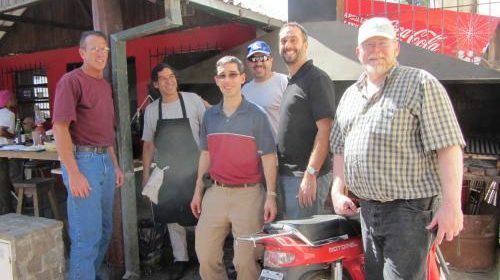 In December of 2011, our Global Mission IT team was invited to Seminario Teologico Nazareno del Cono Sur and the ConoSur Field Office in Pilar, Argentina to help install wired and wireless infrastructure on both campuses.